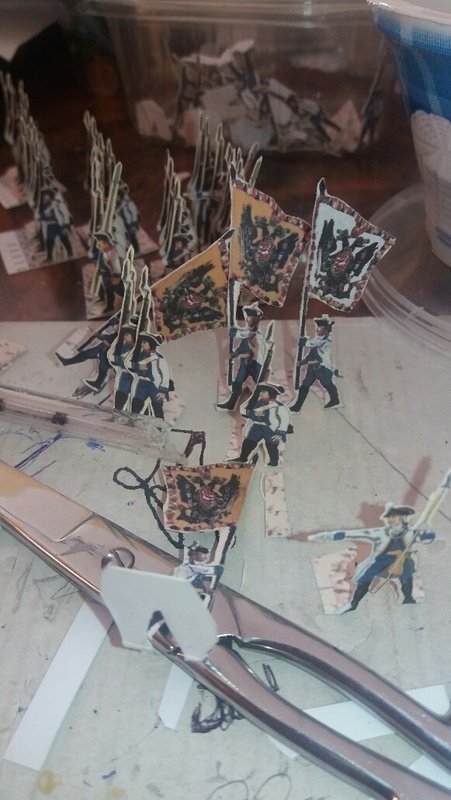 The 259th anniversary of the Battle of Leuthen (5th December) and still I have to finish a lot of Regiments. 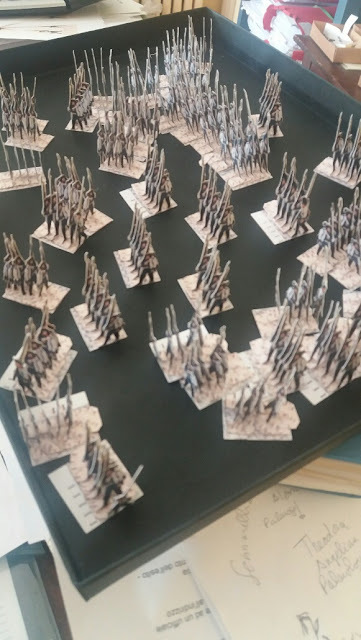 I am afraid also this year the diorama of the battle will be not ready. 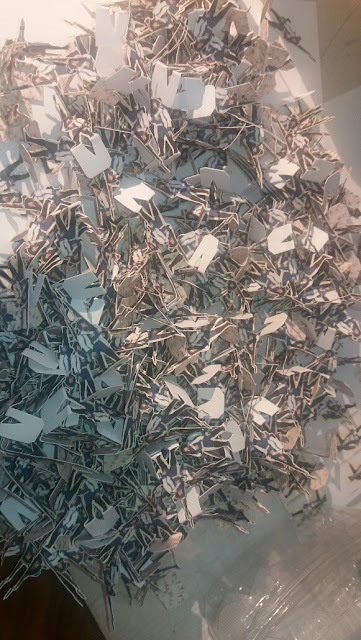 But reproducing 70.000 papersoldiers it's really a huge task. By the way, I used this summer to request to some friends of mine to start cutting papersoldiers. The result was quite impressive, with thousends of new recruits just arrived to the barrack (i.e. at my office) for being enlisted. I want mostly to finish the Austrian troops that were actually defending the village of Leuthen. Therefore on the west of the village was the Harrach Regiment on 2 battalions. Its uninorm in 1757 was quite beautiful (see http://kronoskaf.com/syw/index.php?title=Main_Page) were the trousers and the shirt were still dark blue. This is part of the huge numbers of new recruits; the total papersoldiers that will be enlisted for reencting this regiment will be about 900! Some of them are already training!